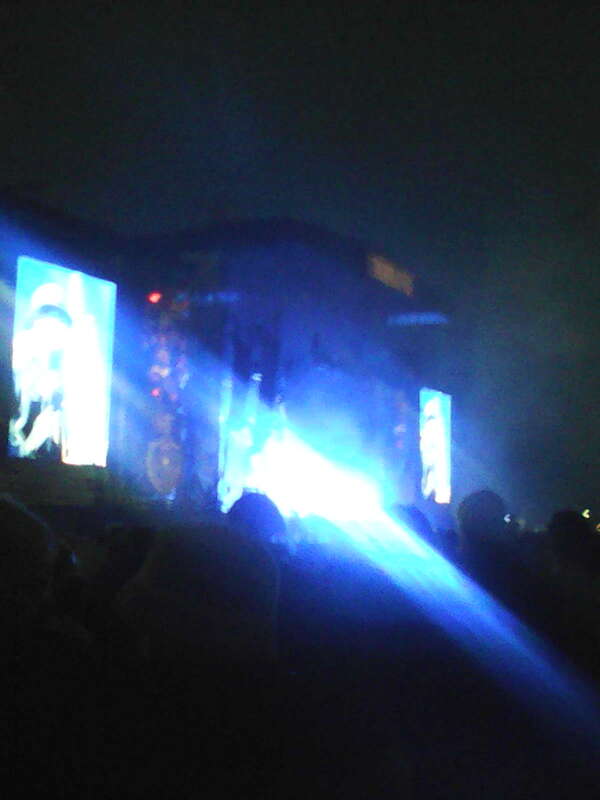 I forgot I took this picture of System of a Down the previous night. Saturday mornings at festivals for me are always a time of moving in slow motion for me. I slept in and took my time getting going. 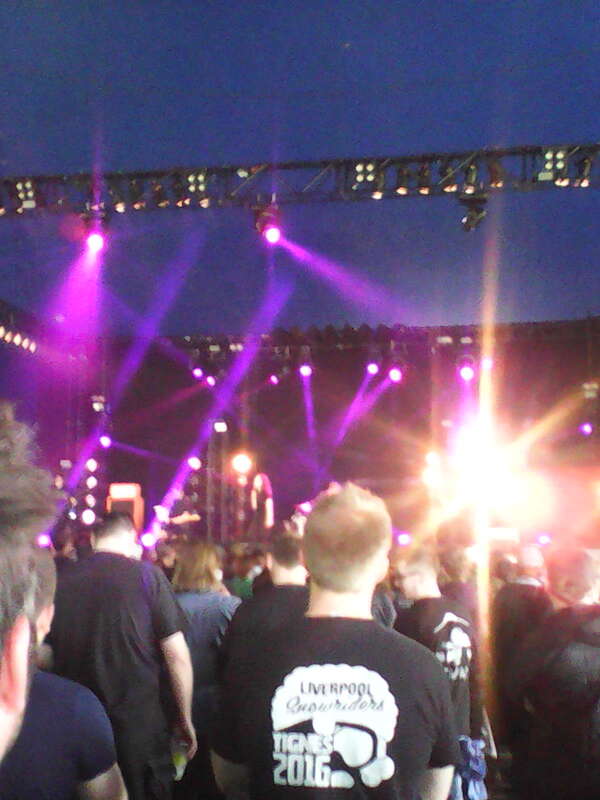 When, I finally got going, I discovered there were no bands playing on the main stage at the time of my entry. However, my ears caught hold of some cool sounds coming out of the Avalanche Stage, so I thought I’d better go and check it out. I discovered what was making those wonderful sounds, it was the band, Greywind. 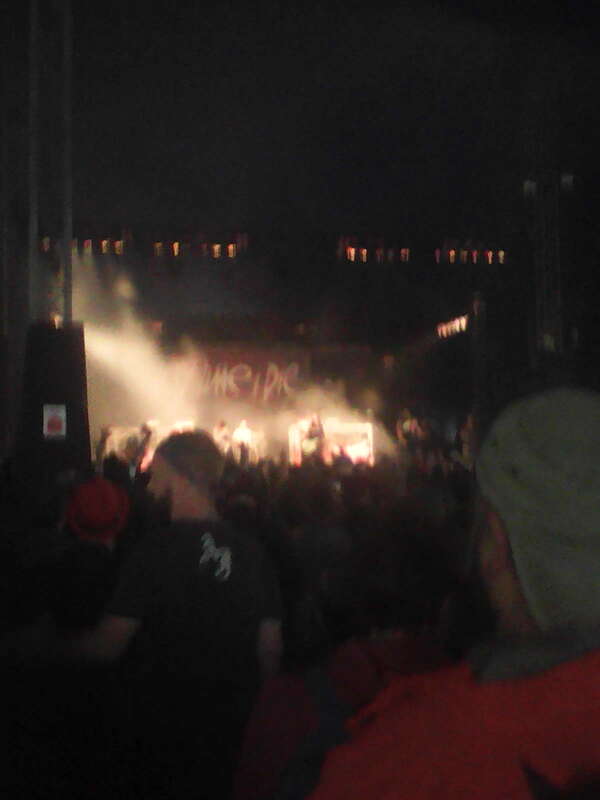 On all four of my trips to Bloodstock, I came across a band who I never heard of but impressed holy hell out of me. 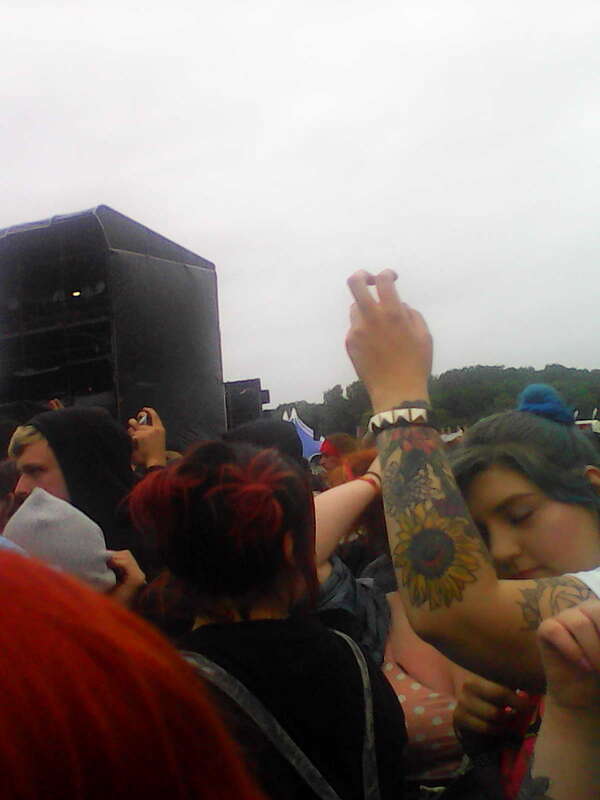 I thought it would be nice to keep up that tradition at Download. Greywind kept that tradition going for me. The band was tight but their best asset is their fiery red haired lead singer, Steph O’Sullivan. 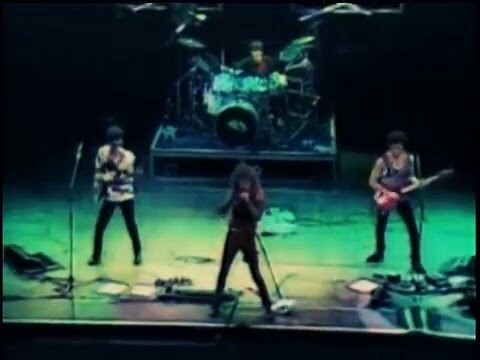 Let me just say that this band was awesome and the lead singer has an amazing voice along with a good stage presence. Their debut album “Afterthoughts” was released in the beginning of the year and let me tell you, I’m going to get it. After Greywind, I did something controversial on the afternoon. Some people might think it was that but I don’t. I didn’t go see any bands! 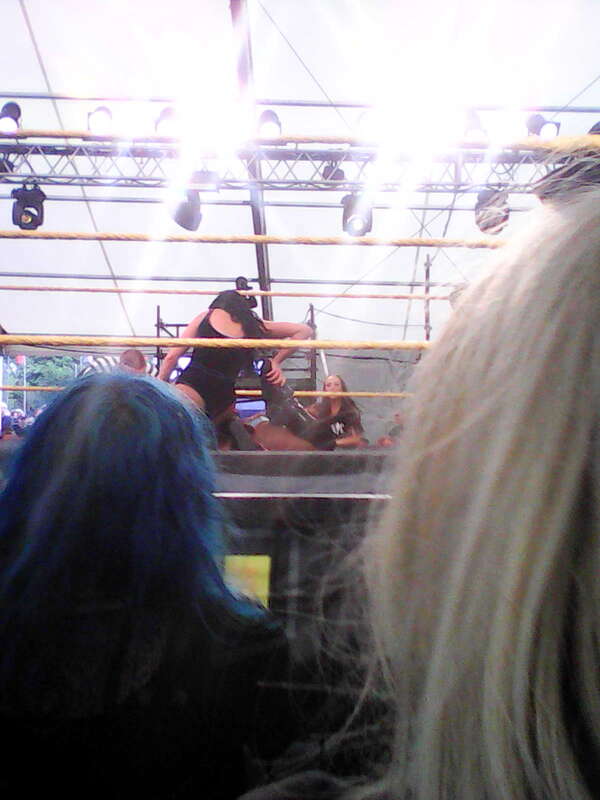 Instead, I attended an NXT Wrestling event. For those who aren’t familiar with it, NXT is the farm team, reserves, second division (put in which term applies best to your sporting interests) of the WWE. 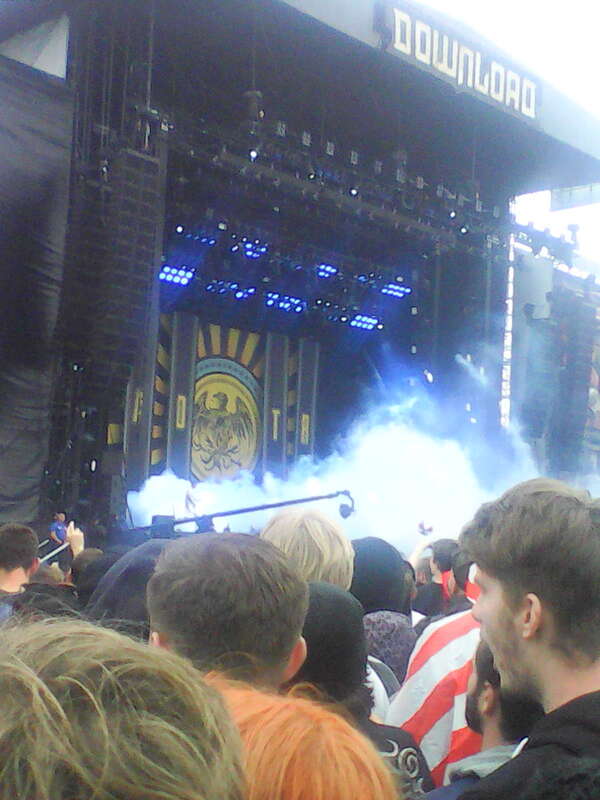 There were two events on each of the three days at Download. 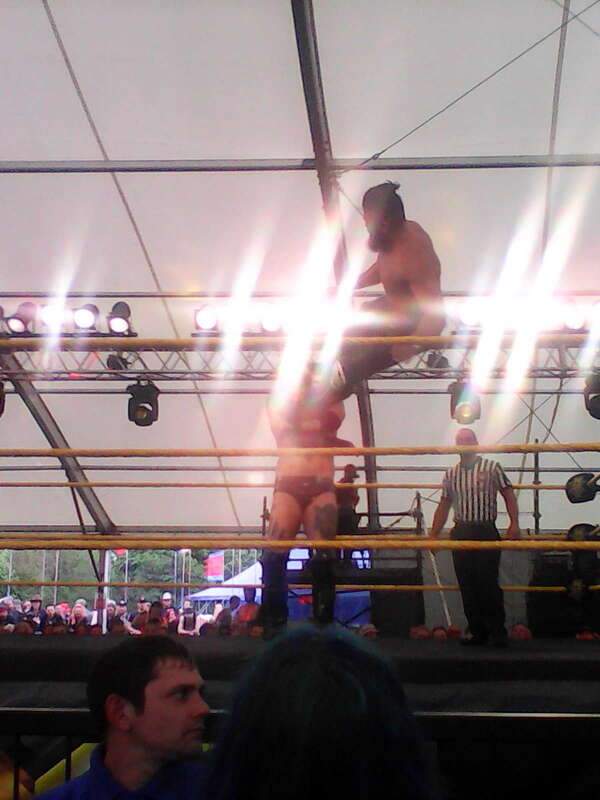 The one I went to had six matches on the card including tag team champions, Authors of Pain. I enjoyed it immensely but the best part was before the wrestling started, some chap got down on one knee in front of the crowd and proposed to his girlfriend. I thought it was sweet. No Way Jose beat Wolfgang in the opening bout. Ember Moon defeated Billie Bey in the first women’s match. Another misleading photo. Lars Sullivan ( I wonder if his parents were Metallica fans,) would defeat Trent Seven. 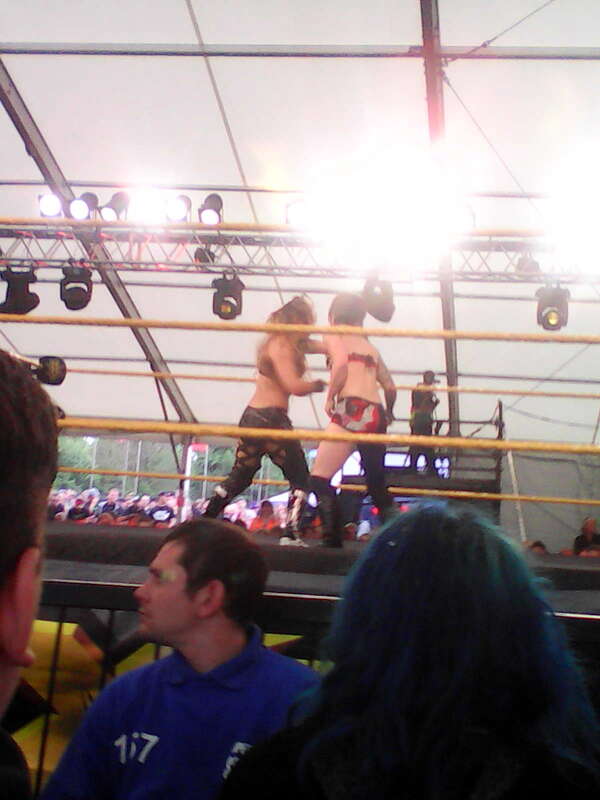 Ruby Riot and Aaliyah square off in the second women’s match. Ruby Riot would eventually get the win. Authors of Pain did hold onto their belts. Cien Andamadama and Alleister Black meet in the Main Event. Alleister Black would win this one. 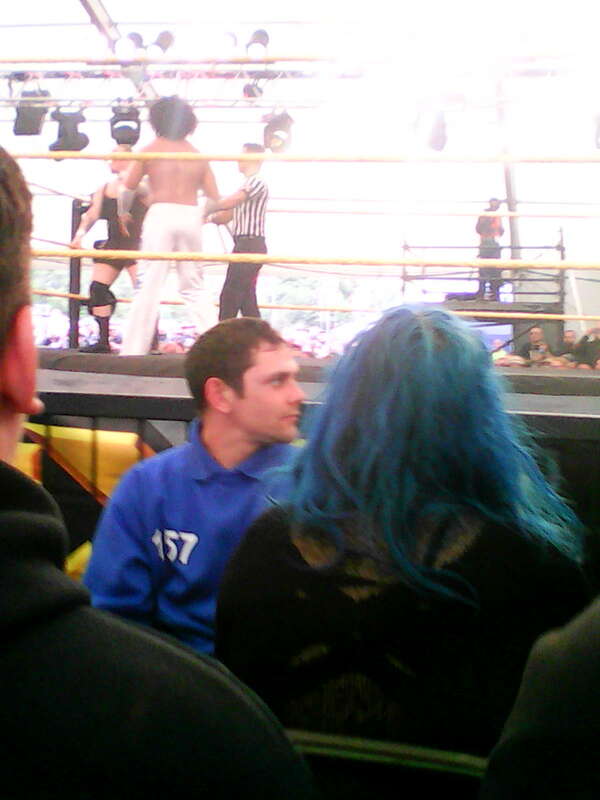 I had a great time watching the wrestling. After all, now that I’m in 1984, that year began the origins of the rock and wrestling connection. More on that at a later time. And here’s the rest of the band. 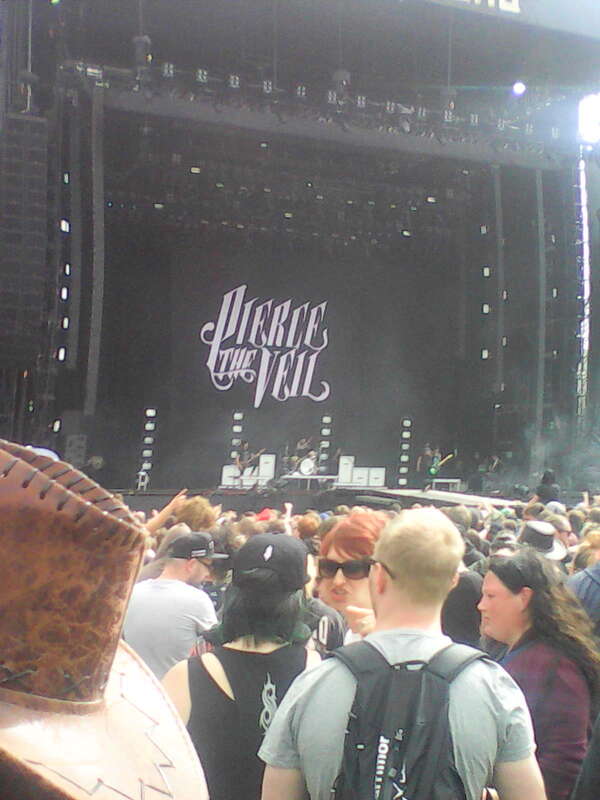 After feeding my face, I ventured back to the Avalanche Stage in the hopes of discovering another band. Every Time I Die was on stage and I am convinced that their loud, angry tones scared their record producer into signing them. 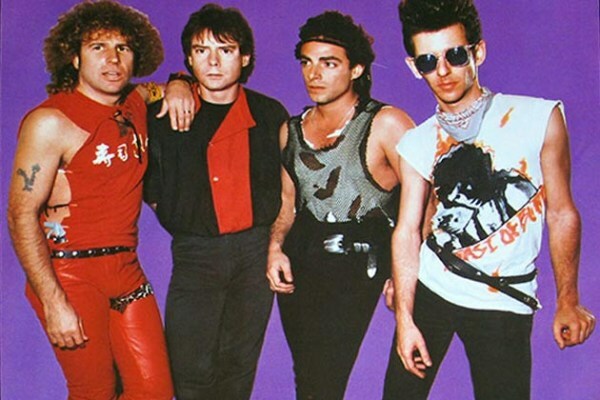 They made two bands, who I never heard of who impressed me. Actually, Northlane and Motionless in White from the previous day makes it four. 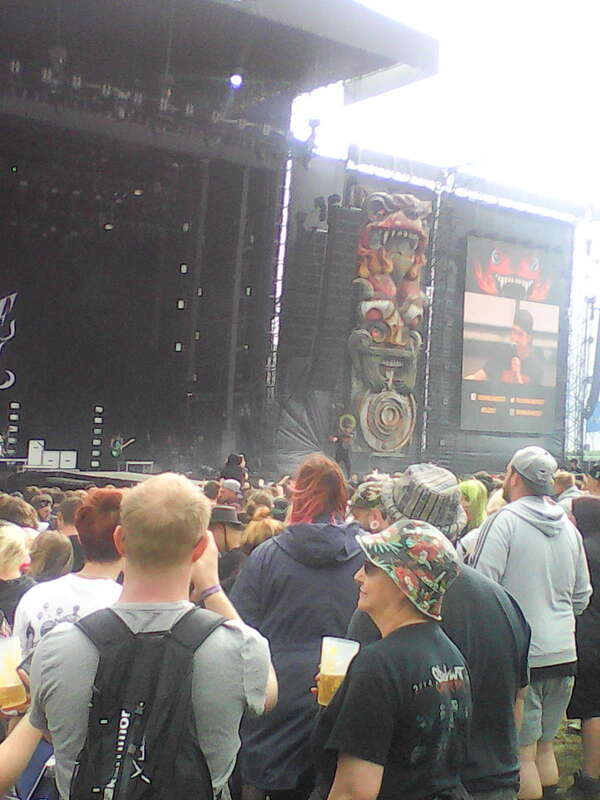 When ETID finished, I went back to the main stage to catch some of A Day to Remember. 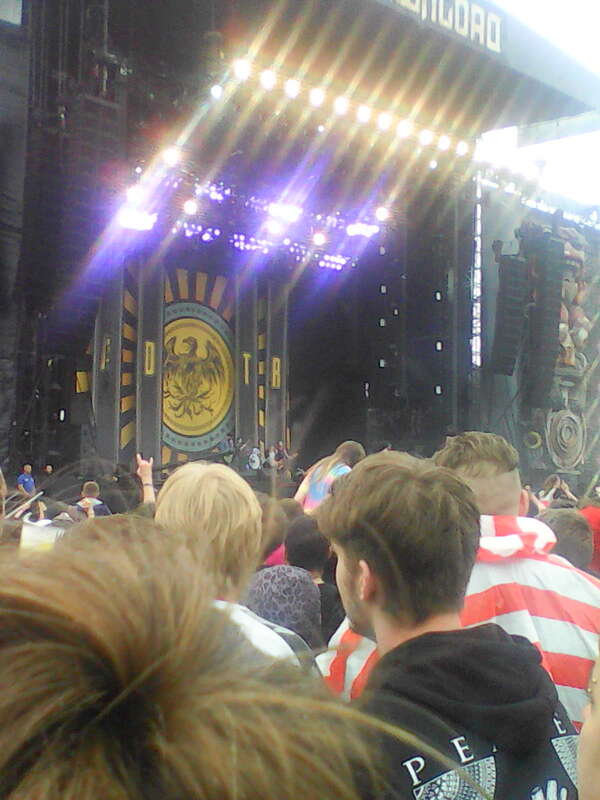 I happened to stand among some true ADTR fans who sang along to every song they played. I have heard of this band before but have only heard snippets previously. I liked what I heard on this day. 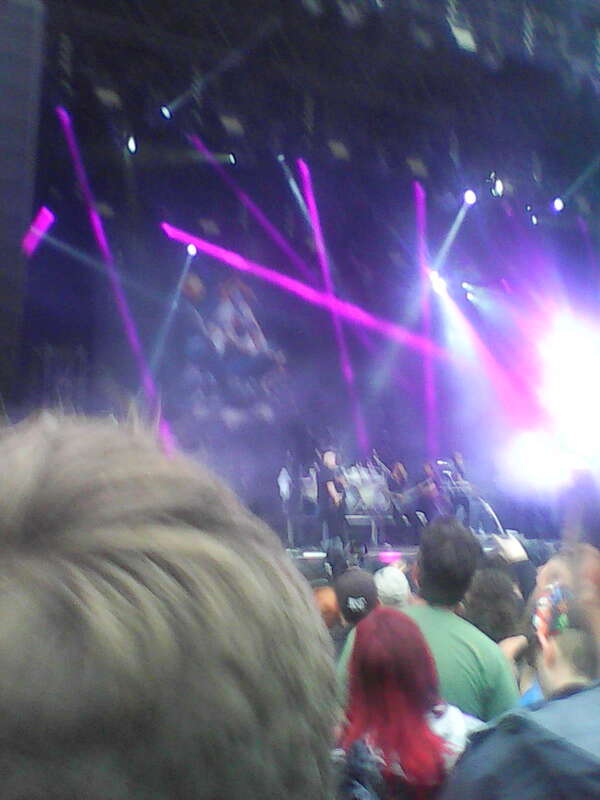 Lead singer Jeremy McKinnon goes out in front. 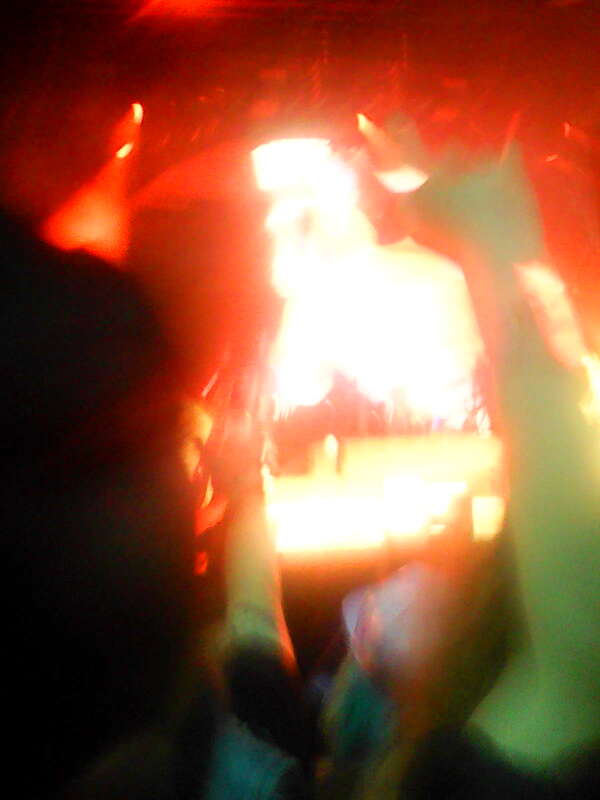 When A Day to Remember left, I immediately beat feet over to the Zippo Stage for the rest of the night. 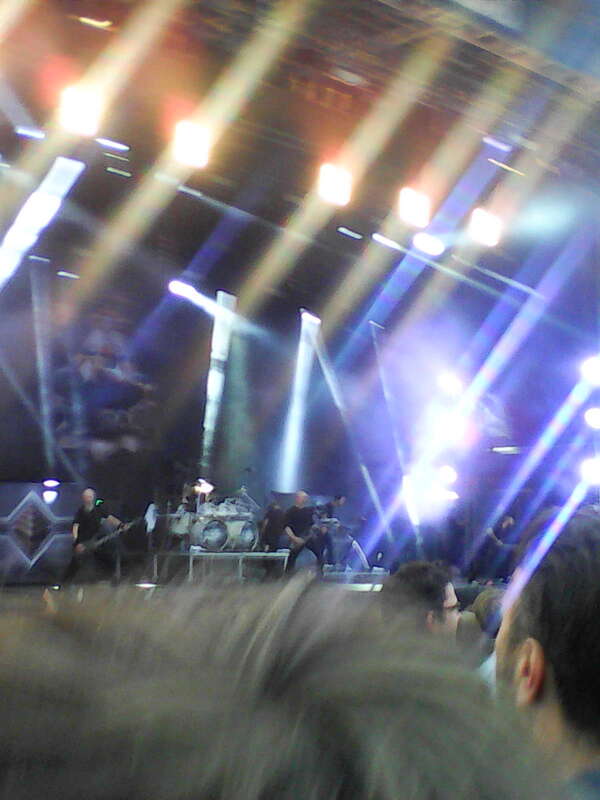 The first band out was the Devin Townsend Project. 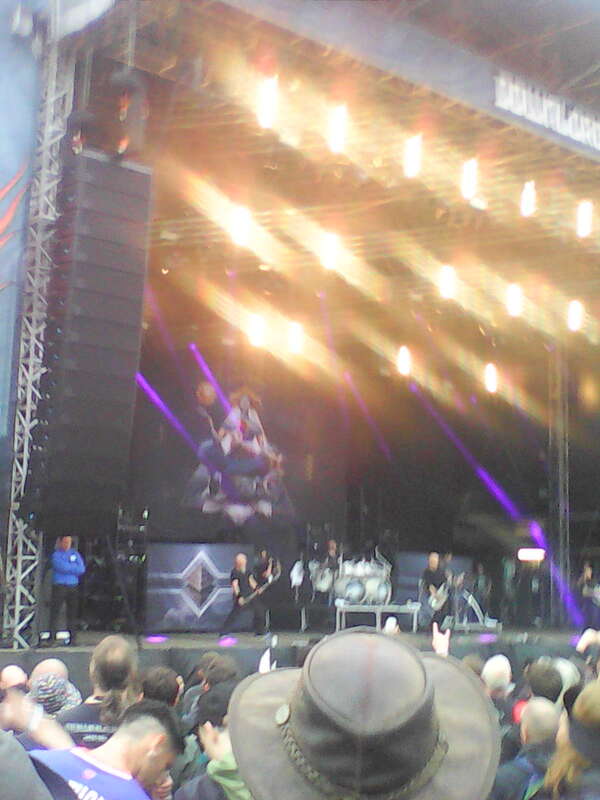 I had seen Devin at Bloodstock in 2010 and he was good but he was even better this time around. For one, he didn’t have any equipment malfunctions so there was no delay in starting the show. He just completely wailed on his guitar the entire time. Two songs that really stood out for me were “Sugar Crush” and “Dead Head,” the latter of which could sum up his entire performance. It had a melodic start before going more power metal along with some great guitar soloing and his interaction with the audience was superb. 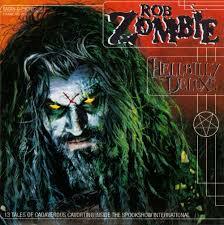 I also like how he can change his voice during a song, from traditional to almost thrash metal to fit the song. 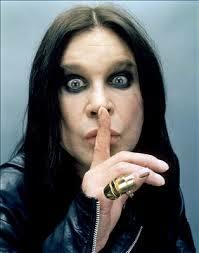 Before he left, he said he was amazed at the fact that he was 45 and could still make a living out of playing metal. Belting out another guitar solo. Devin Townsend paved the way for the final act of the night, Rob Zombie. Before he made his entrance, there were test screens on the stage. This led me to wonder where all this might lead. That was answered when he came out in his silver suit with cowboy hat and fringes. Those screens showed old films and TV shows while his band played. 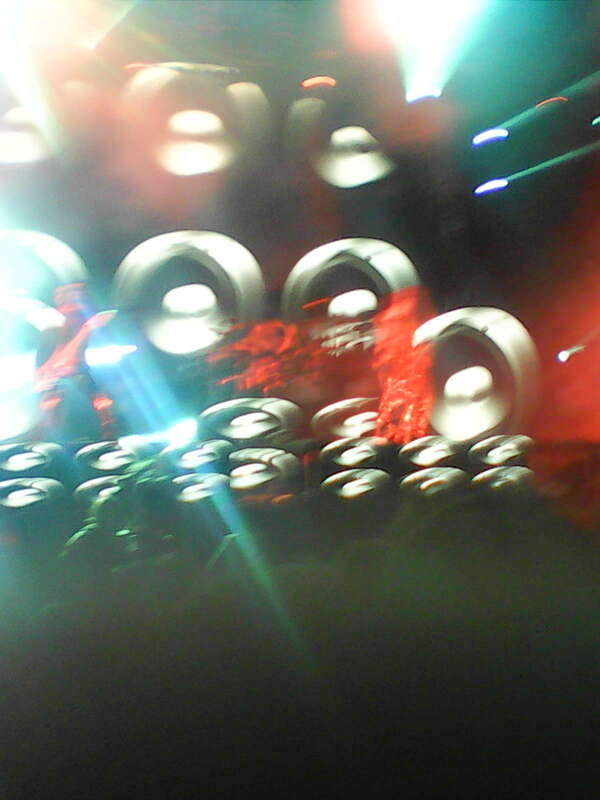 At one time, the screens displayed large red letters, “Get High” when he sang that song. When he saw someone with a blow up doll, he told them they must be desperate. Rob joined in when he threw two blow up aliens into the crowd and instructed the audience to let them crowd surf to the back. He also expressed ‘concern’ over the fact that alien abductions aren’t talked about by politicians. 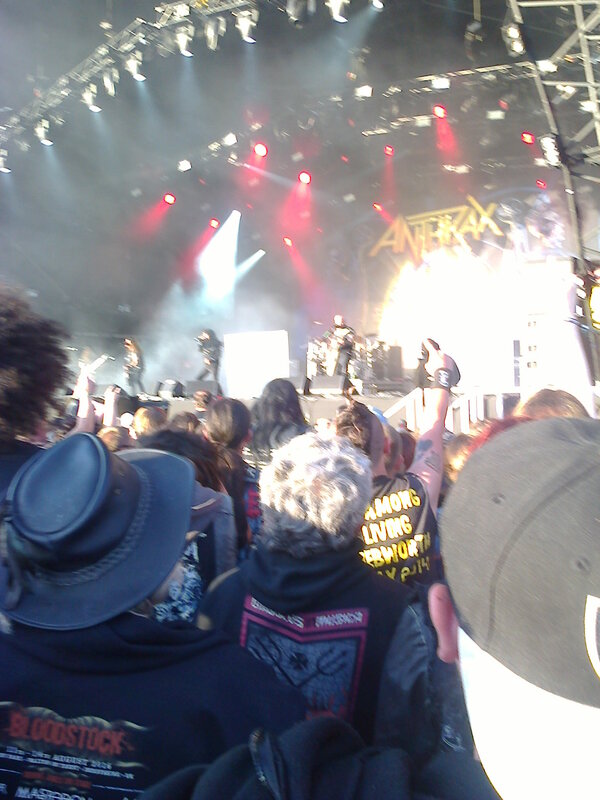 It was an amazing show, attended by many because I was near the front and packed in like a sardine. 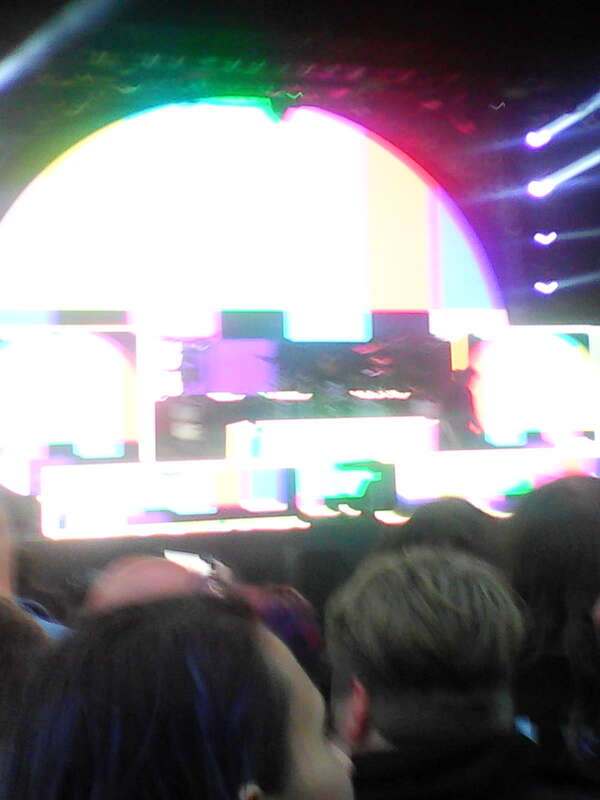 Had great effects and light show as well. 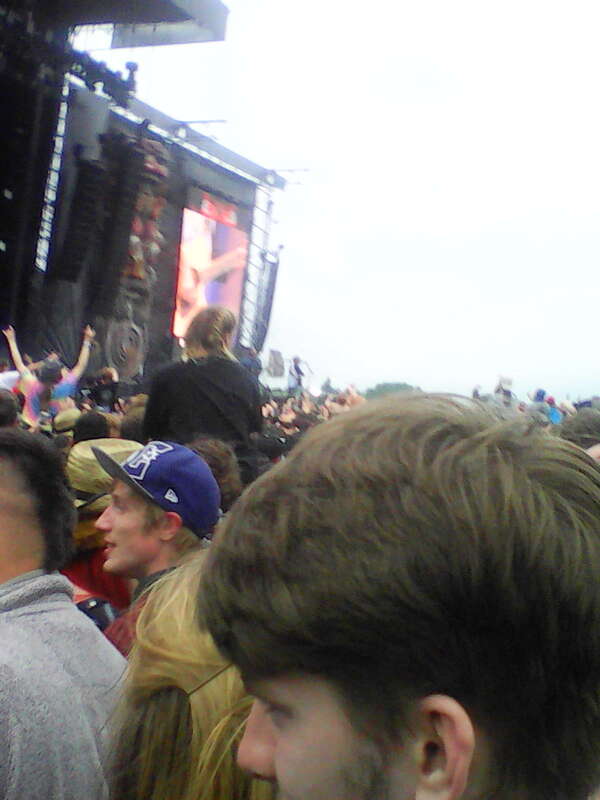 When the show ended, I wasn’t the only one who thought Rob should have headlined the main stage instead of Biffy Clyro. What would these screens reveal? 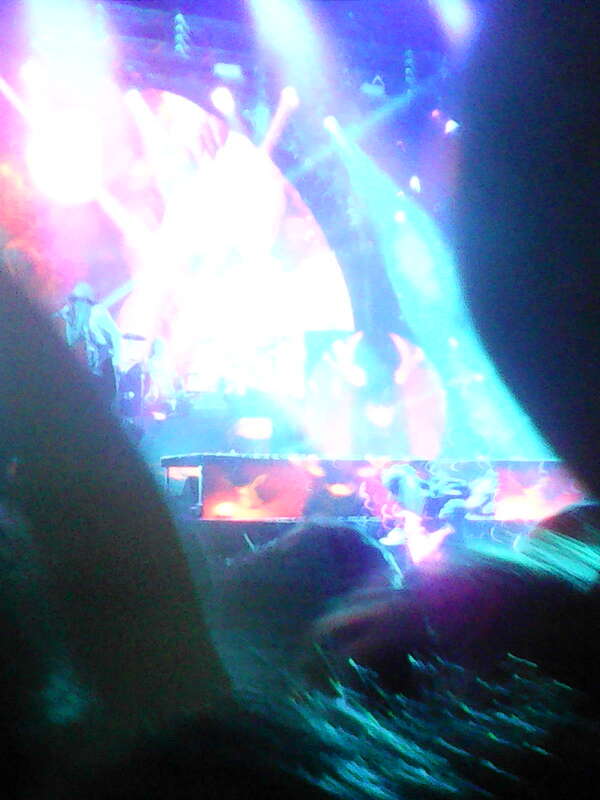 Best shot of Rob I could get. 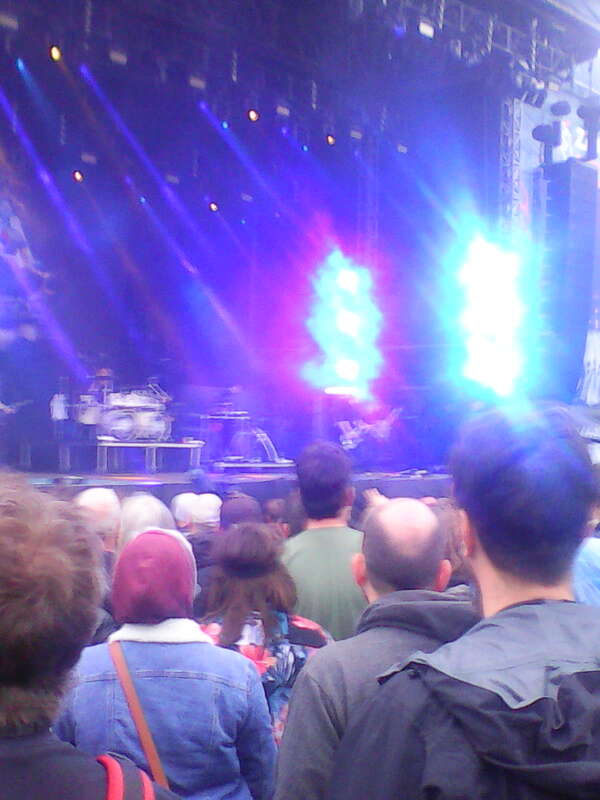 Biffy had already finished so I couldn’t have watched them if I wanted to. I’m sure the eight people who did see them enjoyed the show. I went back to my campsite fully drained and in need of refreshment. 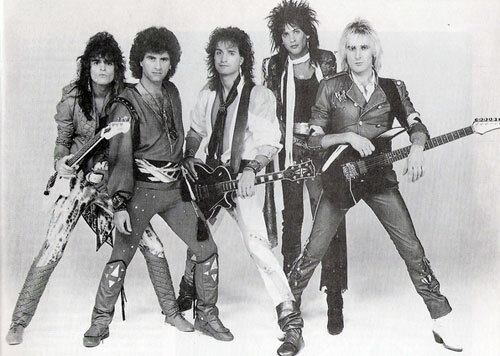 An 80smetalman Poll: Which Metal Artist Would Best Cover the Song Yummy, Yummy, Yummy? In a post featured by Danica who writes the blog, “Living a Beautiful Life,” I have been inspired and encouraged by her to make up a poll. Danica featured the only hit from 1960s band, Ohio Express, “Yummy, Yummy, Yummy.” That song took me way back as I remember listening to it on the radio when I was seven and would sing along with the words. After all, they weren’t that difficult. 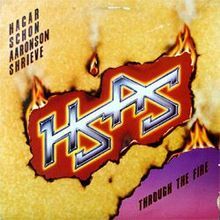 What I picked up on when I listened to it a couple of days ago after oh so many years was there was a bit of a crunching beat to it. This led me to conclude that the song would sound pretty good if metalized. When I brought the subject up to Danica, she put forward two acts she thought would do a good job with it and I countered with three. Obviously, the choices aren’t limited to these. I’m sure there are many of you out there who have their own opinion as to who could best give “Yummy, Yummy, Yummy” a metal spin. If so, Danica and I would love to hear your thoughts.